Scattering ashes at sea has become increasingly popular. This type of ceremony is considered by many to be much more natural and soothing for your loved ones versus traditional, terrestrial burials. RentalBoats.com employs qualified captains and crews to provide these specialized services with dignity and reverence. 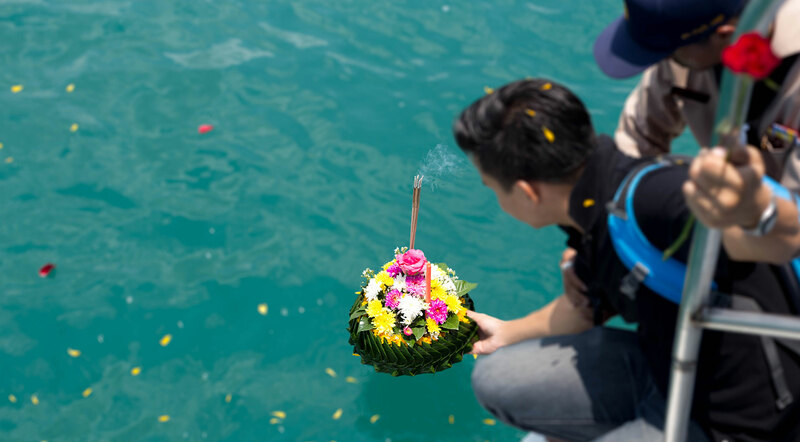 U.S. federal law allows for the scattering of ashes at sea, but certain conditions must be met, including: the use of decomposable flowers and wreaths; certain notification requirements; ensuring that ashes are scattered at least three (3) nautical miles from shore; and others. Family members have the option to scatter the ashes if they so choose. The ashes are placed in the water and allowed to descend into the ocean. Shortly thereafter, the Family and friends are usually handed flowers or even a bouquet that they can toss in along with the ashes to create an area of the ceremony on the water. The captain can then circle the area while the Family and friends take photos and say their final goodbyes. Please contact RentalBoats.com for pricing and for more information.